Dmitry Medvedev’s bill on party system liberalization has been roundly criticized by opposition figures, both represented and not represented in parliament. They say the move would devalue the party registration process and spread voters’ attention, which could eventually lead to election failure. The head of the Liberal Democratic Party, Vladimir Zhirinovsky, has warned that the new rules would disorganize the preparations for the next parliamentary elections and the poll itself. “If today the Central Elections Commission is registering four parties and it takes them a month, what will happen when we have 100 parties? 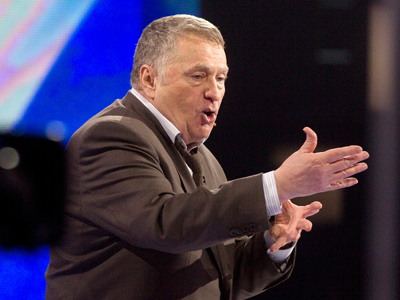 The delay with registration will make it impossible to form the ballot, and without ballots it will be impossible to distribute air time for campaigns,” Zhirinovsky warned. “It will all end in elections lasting for six or seven months,” he added. 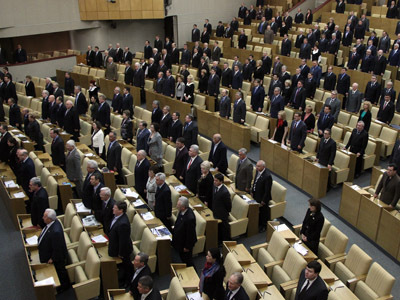 Zhirinovsky also noted that the large number of parties would cause difficulties with monitoring the elections as local commission are comprised of only 10 members and simply cannot accept everyone who wish to register. The Communist Party of the Russian Federation warned that the new law would allow for such practices as creating local micro-parties that serve only the interests of those who finance them. Communist MP Valentin Romanov said that the new law opened the way to forced acquisitions in political sphere. “There will be 150 political parties. Who can possibly distinguish between them? It is likely that no one will even know about them. 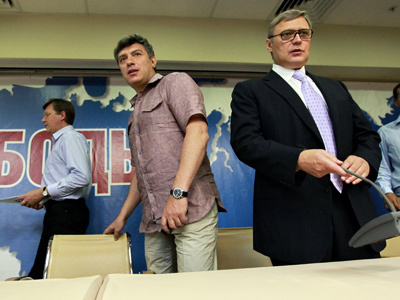 When we have hundreds of parties, the voters’ attention gets diluted,” Limonov said. 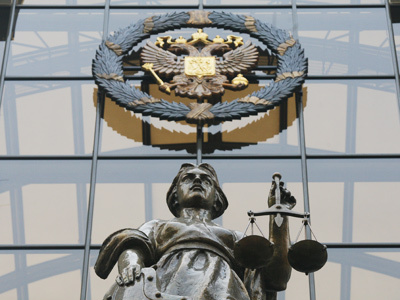 The political reform bill was recently proposed by President Dmitry Medvedev and already received approvals in two readings in the Lower House of Parliament. The bill reduces the minimum number of party members to 500 from the current 40,000 and eases the registration procedure. The third and final reading of the bill in the lower house is scheduled for Friday, March 23.